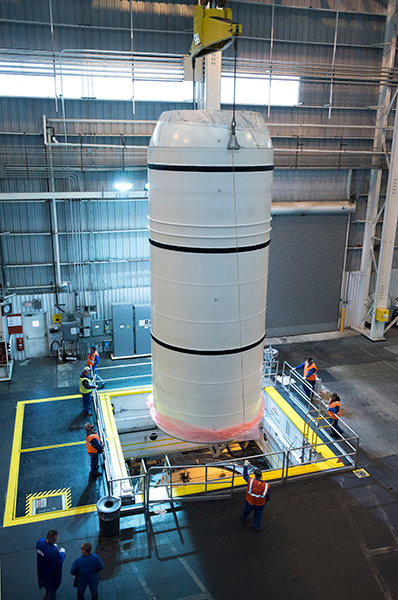 Following a successful test of the five-segment solid rocket booster motor that Orbital ATK is developing for NASA’s Space Launch System (SLS) earlier this year, the company is making significant progress toward the second ground qualification test scheduled for May 2016. 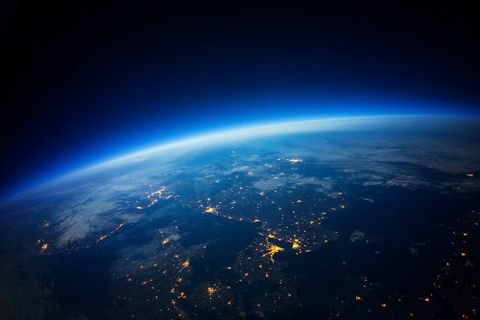 The QM-2 ground test will support qualification for the solid rocket boosters to fly on SLS – the rocket that will take humans beyond earth orbit – farther than we have ever before ventured. For each SLS mission, Orbital ATK will provide two solid rocket booster that together provide more than 75 percent of the total SLS thrust at launch. The QM-2 test will assess the solid motor’s performance at the cooler end of the its accepted propellant temperature range. After qualification is complete, the boosters will then be ready to proceed toward the first flight of SLS, known as EM-1, in 2018. 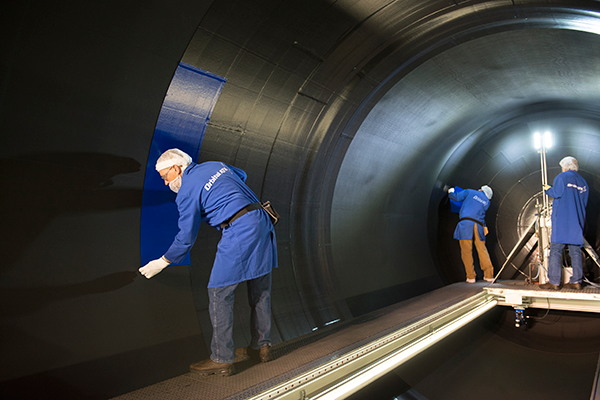 Significant progress is being made to meet the May 2016 QM-2 test date. The aft, forward and center-forward segments have been cast with propellant at Orbital ATK’s Promontory, Utah, facility. The nozzle for the QM-2 test motor is also in work, with instrumentation and assembly work still to be done. Building on three decades of knowledge and experience gained with the Space Shuttle, the SLS booster is the largest, most powerful solid propellant booster ever built. 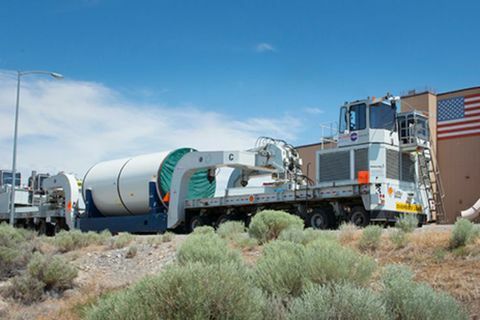 The booster has been improved with the latest technology including several design, process and testing improvements for greater performance, safety and affordability. 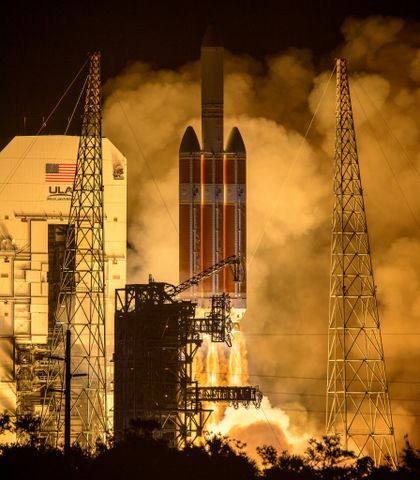 Standing 17 stories tall and burning approximately six tons of propellant every second, each booster generates more thrust than 11 four-engine jumbo commercial airliners. 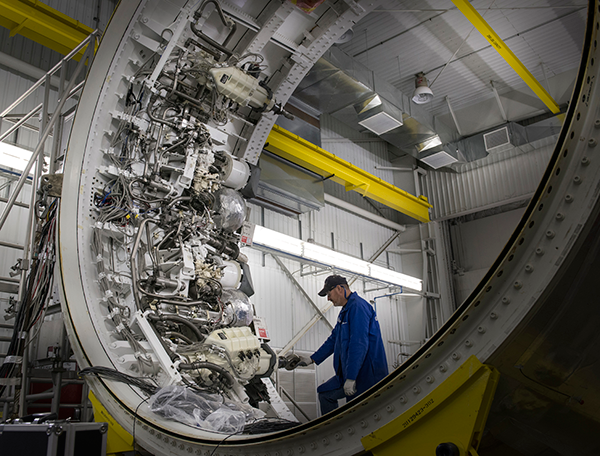 With more payload mass and volume than any existing rocket, as well as more energy to send missions through space, SLS has the capability to send human and robotic explorers to deep space destinations including asteroids and eventually Mars and beyond. 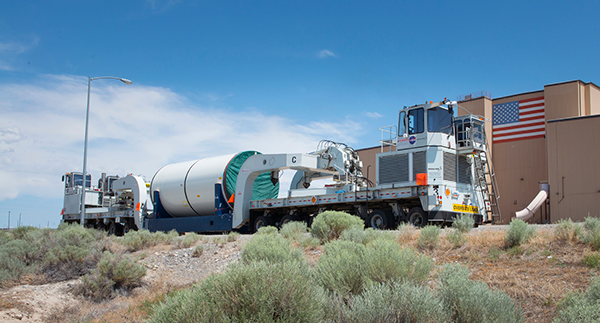 The QM-2 Center Center segment is transported to Final Assembly for processing, before being integrated with the other four segments of the SLS booster. In the Insulation and Component Work Center, cap ply is installed on the QM-2 aft segment. 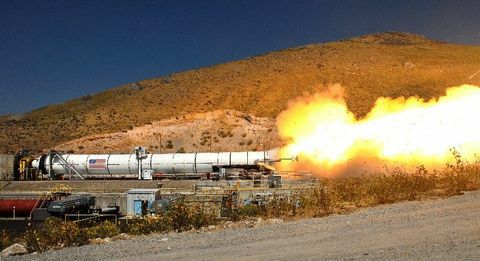 The next milestone for the QM-2 test is an off motor hot-fire of the thrust vector control system which is scheduled for September 10, and involves an avionics test on the aft skirt. The QM-2 aft segment is lowered into the casting pits in preparation for loading with propellant.